We are located down the end of a quiet road, right next to the marina. The beach house almost has all the comforts of home. 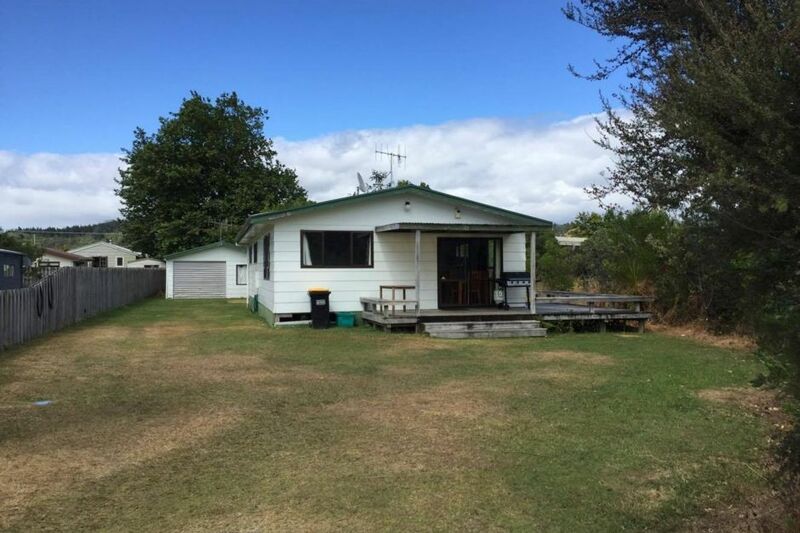 It is a 2 min walk to the harbour/ playground and boat ramp, 5 min walk to town/ wharf and surf beach. Theres room outside for kids to play, car/ boat parking etc. Pets are ok outside, same with smoking. There is limited bedding and towels, as spares for you. But you will need to be washed and hung out before departure. Please leave the bach tidy, and remove all rubbish. Cleaners will come in to clean. Just what we needed for our two day stay for the surf lifesaving champs. Very comfortable and homely, get to get back to after a hard day at the beach. House is great , has everything you need ! We really loved our stay here , the house had everything we needed and was in an ideal location . The owners are very easy to communicate with hopefully Its available again next year! Clean. Great facilities. Amazing location.. back next year ?? Great place, easy to find! great location, great place would stay again, (dishwasher would be good lol!